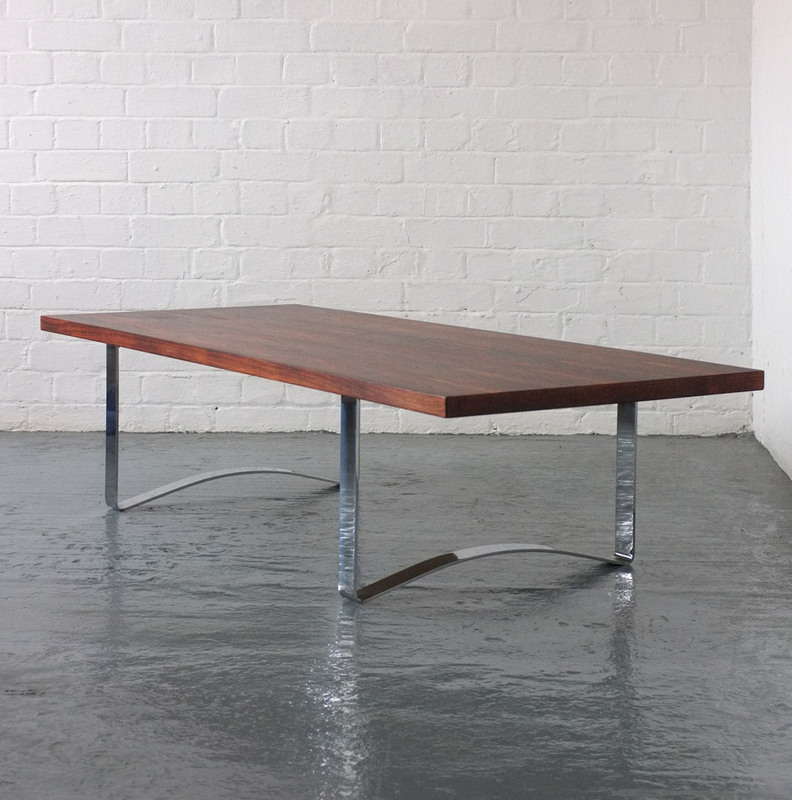 A rare coffee table designed by Bodil Kjær in 1959 as part of the SC Series. 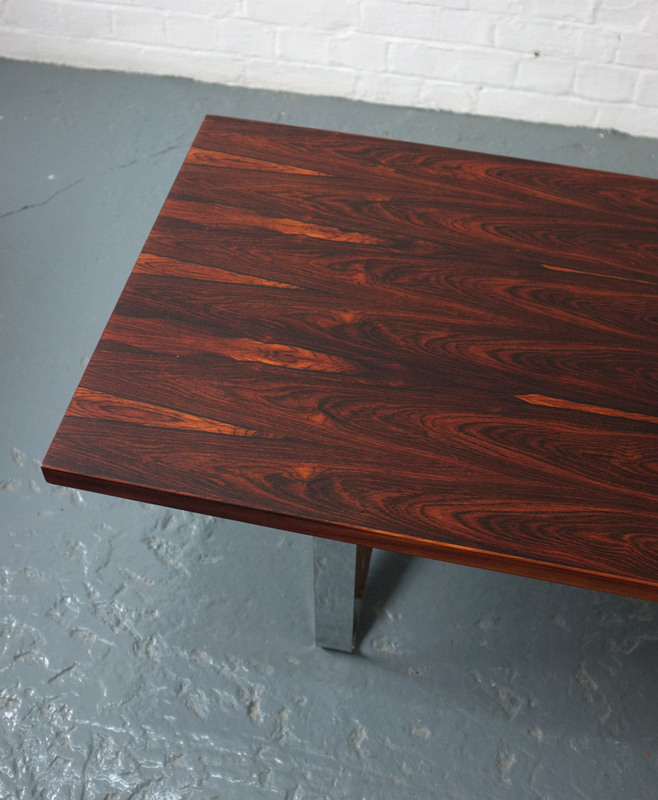 Manufactured by E. Pedersen & Son. 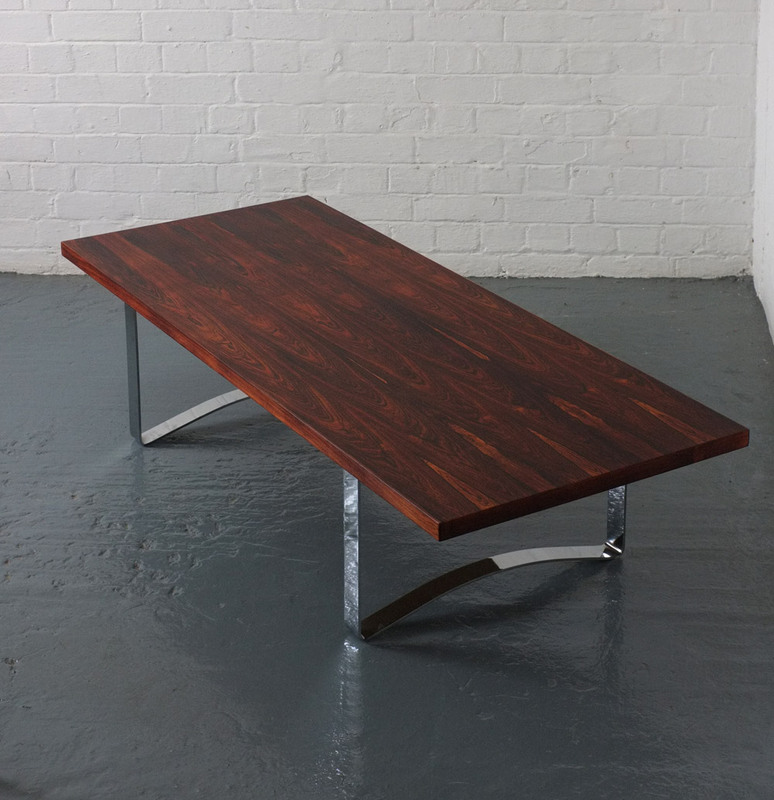 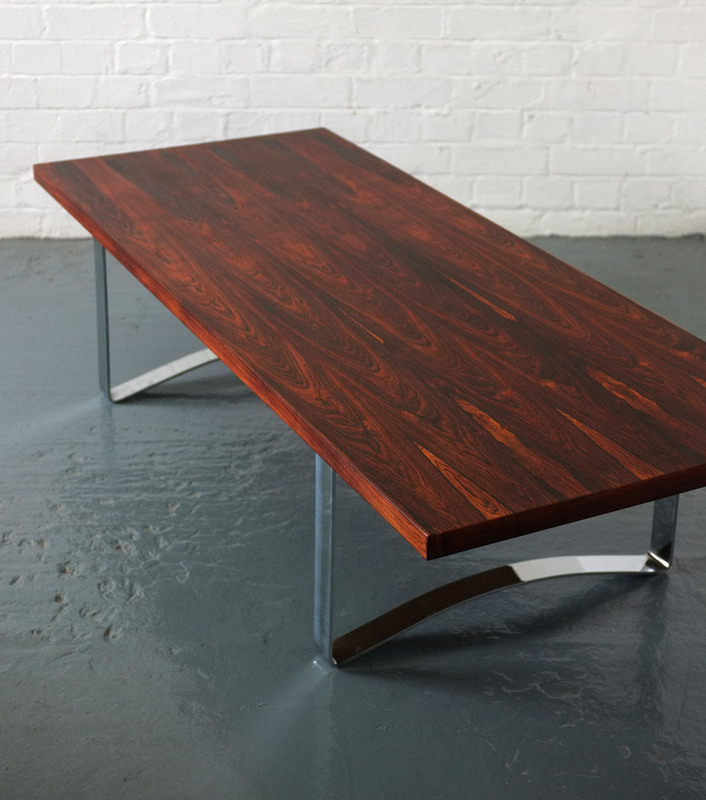 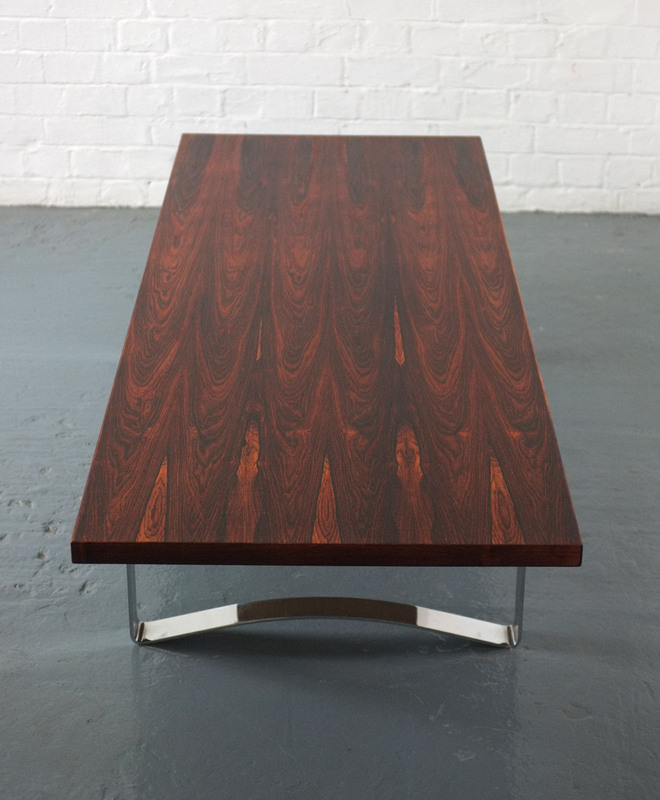 Thick rosewood top contrasting nicely with curved chrome legs. 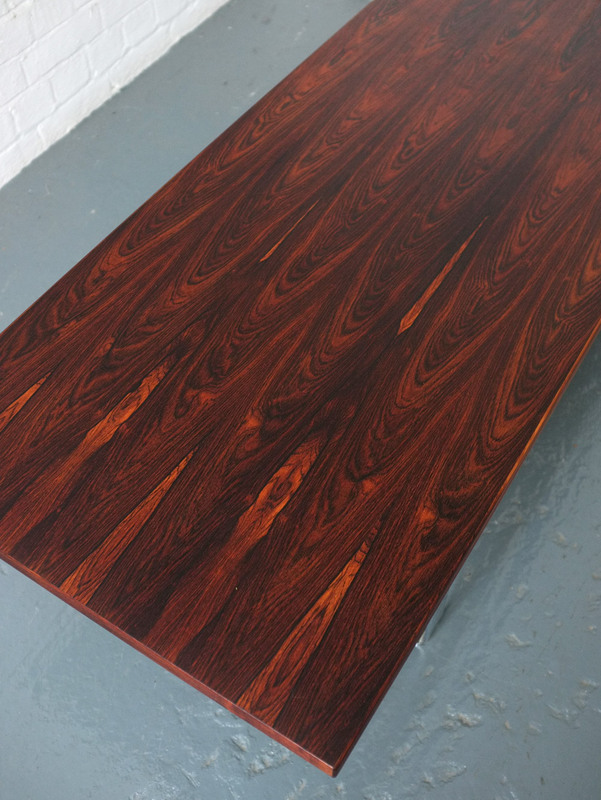 Very heavy with stunning grain to the rosewood. 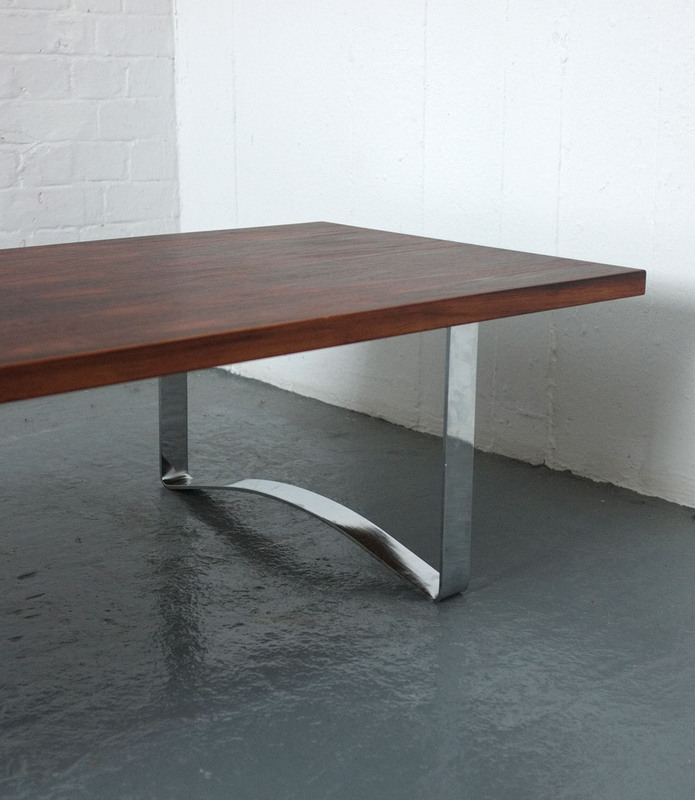 In excellent re-oiled condition, the chrome is shiny with no pitting or flaking. 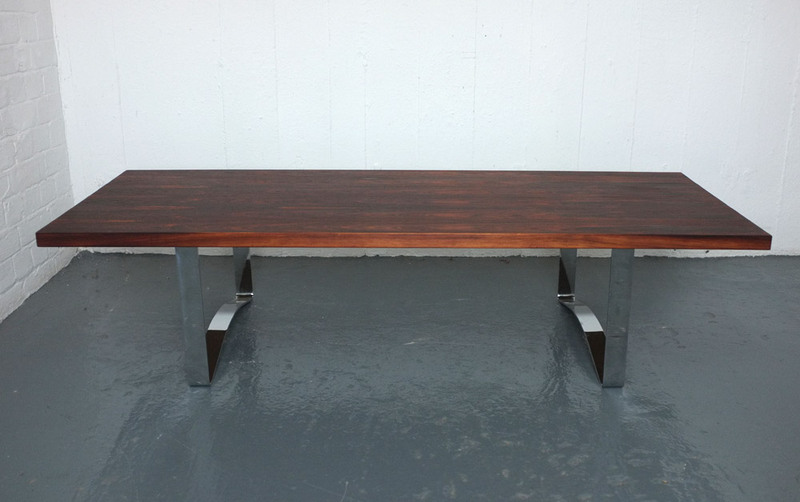 Dimensions: 159.5cm long x 64cm wide x 38cm high.